Two ballads. 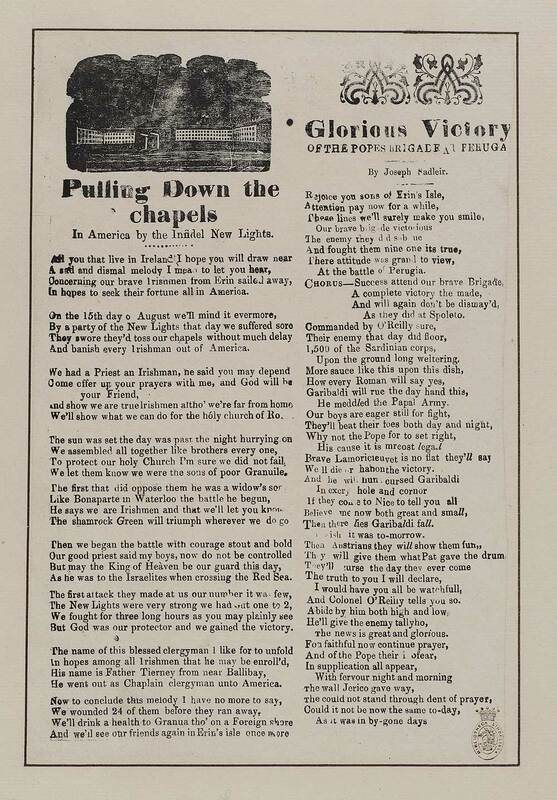 Pulling down the chapels in America by the infidel New Lights - first line reads: All you that live in Ireland I hope you will draw near. Glorious victory of the Pope's Brigade at Peruga [sic] - first line reads: Rejoice you sons of Erin's Isle. Glorious victory of the Pope's Brigade at Peruga [sic]: By Joseph Sadleir. In two columns with an illustration above each.